Carolann Wegener-Vitani, B.S., R.N., is serving as the Interim Administrator and Director of Nursing for the Florida Department of Health in Martin County. 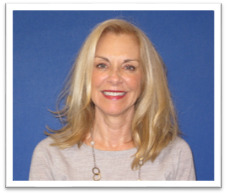 Carolann has served as a nurse for more than 30 years in a variety of public health, clinical and hospital settings. She also worked for Orbis International, a non-profit, non-governmental organization that focuses on the prevention of blindness and the treatment of eye diseases in over 40 developing countries by providing hands-on training, public health education, advocacy and local partnerships. Carolann’s career at the Department started with DOH-Martin in 2005 as the Community Health Nursing Supervisor and she has been serving as the Director of Nursing since 2010. As Director of Nursing, Carolann provides oversight for the medical teams that provide services for Family Planning, HIV, STD, Adult Medicine, Pediatrics, Dental and Immunizations. Carolann earned a Bachelor of Science in Health Care Administration from Iona College in New Rochelle, NY, and an Associate of Applied Science in Nursing from Pace University in Pleasantville, New York. Carolann is currently working on obtaining her Master of Health Care Administration from Capella University. She holds a chronic care certification from the Health Sciences Institute and has two certifications from the National Wellness Institute, one as a Wellness Specialist and the other as a Wellness Manager.